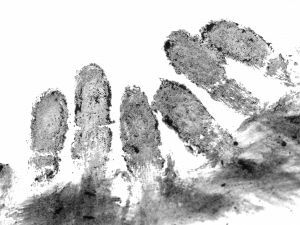 So far as British schools are concerned, fingerprints were once mucky things that the cleaners had to erase, as far as possible, from painted surfaces, windows and library books. Now they raise concern of quite a different type. The BBC reports that, far from wiping prints away and occasionally reprimanding those who were so unwise to deposit them, many schools are now fingerprinting pupils without their parents’ permission. It seems that around 100 British schools actually use fingerprint identification systems for registration, borrowing library books and cashless catering. “… there is no legal requirement for schools to seek parents’ consent for using biometric technologies. Critics say this is “outrageous” and have called for a “strong and explicit law” to cover this issue. Datonomy observes that what may be “common sense” and what constitutes a legal requirement are not always the same thing. Systems for fingerprint recognition carry obvious implications for record-keeping and access, especially in areas where juvenile crime is rampant and the temptation to cross-check dabs found at the scene of a crime with the local secondary school’s library lending records is strong. Since schools are unlikely to want to operate two separate systems for record-keeping — one for those who are print-friendly and another for those who are print-averse — it is likely that, if parental (or pupil?) consent is not unanimous, such systems will not be adopted.